“[T]rue C hristian theology . . . does not present God to us in His majesty, as Moses and other teachings do, but Christ born of the Virgin as our Mediator and High Priest. Therefore when we are embattled against the Law, sin, and death in the presence of God, nothing is more dangerous than to stray into heaven with our idle speculations, there to investigate God in His incomprehensible power, wisdom, and majesty, to ask how He created the world and how He governs it. If you attempt to comprehend God this way and want to make atonement to Him apart from Christ the Mediator, making your works, fasts, cowl, and tonsure the mediation between Him and yourself, you will inevitably fall, as Lucifer did, and in horrible despair lose God and everything. For as in His own nature God is immense, incomprehensible, and infinite, so to man’s nature He is intolerable. Therefore if you want to be safe and out of danger to your conscience and your salvation, put a check on your speculative spirit. Take hold of God as Scripture instructs you: ‘Since, in wisdom, the world did not know God through wisdom, it pleased God through the folly of what we preach to save those who believe. 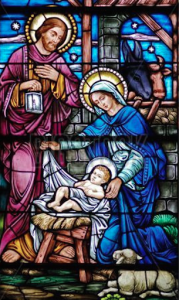 We preach Christ crucified, a stumbling block to Jews and folly to Gentiles, but to those who are called, both Jews and Greeks, Christ the power of God and the wisdom of God.’ Therefore begin where Christ began — in the Virgin’s womb, in the manger, and at His mother’s breasts. For this purpose He came down, was born, lived among men, suffered, was crucified, and died, so that in every possible way He might present Himself to our sight. He wanted us to fix the gaze of our hearts upon Himself and thus to prevent us from clambering into heaven and speculating about the Divine Majesty. First, having read Sibbes (Bruised Reed) and Augustine (Treatise on Grace and Free Will) the two previous years, Ryle, standing in the same stream, brings us close to our own century. and, while he wrote in and used the language of the Victorian era the challenges he faced are strikingly similar to those we face. Second, Ryle was a clear, strong and discursive thinker who emphasized his points by cumulative effect. Often, today, Ryle is excerpted. I think it helpful to read him in context and in whole to feel the effect of his intellect and communucative skills. Third, in this volume Ryle lays out afresh, biblically, systematically, and in practical terms, the true fundamentals of scriptural holiness. Fourth, much of what Ryle has to say with regard to the interior aspects of personal holiness is of perennial importance and is uniformly relevant to Christian living here and now; challenging our own shallowness and superficialities. Assurance, such as Paul expresses in the verses which head this paper, is not a mere fancy or feeling. It is not the result of high animal spirits, or a sanguine temperament of body. It is a positive gift of the Holy Ghost, bestowed without reference to men’s bodily frames or constitutions, and a gift which every believer in Christ ought to aim at and seek after. In matters like these, the first question is this—What saith the Scripture? I answer that question without the least hesitation. The Word of God appears to me to teach distinctly that a believer may arrive at an assured confidence with regard to his own salvation. I lay it down fully and broadly, as God’s truth, that a true Christian, a converted man, may reach such a comfortable degree of faith in Christ, that in general he shall feel entirely confident as to the pardon and safety of his soul—shall seldom be troubled with doubts—seldom be distracted with fears—seldom be distressed by anxious questionings—and, in short, though vexed by many an inward conflict with sin, shall look forward to death without trembling, and to judgment without dismay. This, I say, is the doctrine of the Bible. But there are also some true believers who reject assurance, or shrink from it as a doctrine fraught with danger. They consider it borders on presumption. They seem to think it a proper humility never to feel sure, never to be confident, and to live in a certain degree of doubt and suspense about their souls. This is to be regretted, and does much harm. I frankly allow there are some presumptuous persons who profess to feel a confidence for which they have no Scriptural warrant. There are always some people who think well of themselves when 104God thinks ill, just as there are some who think ill of themselves when God thinks well. There always will be such. There never yet was a Scriptural truth without abuses and counterfeits. God’s election—man’s impotence—salvation by grace—all are alike abused. There will be fanatics and enthusiasts as long as the world stands. But, for all this, assurance is a reality and a true thing; and God’s children must not let themselves be driven from the use of a truth, merely because it is abused. My answer to all who deny the existence of real, well-grounded assurance, is simply this—What saith the Scripture? If assurance be not there, I have not another word to say. To every one who is in downright earnest about his soul, and hungers and thirsts after spiritual life, the question ought to come home with searching power. Do we make progress in our religion? Do we grow? The question is one that is always useful, but especially so at certain seasons. A Saturday night, a Communion Sunday, the return of a birthday, the end of a year—all these are seasons that ought to set us thinking, and make us look within. Time is fast flying. Life is fast ebbing away. The hour is daily drawing nearer when the reality of our Christianity will be tested, and it will be seen whether we have built on “the rock” or on “the sand.” Surely it becomes us from time to time to examine ourselves, and take account of our souls? Do we get on in spiritual things? Do we grow? The question is one that is of special importance in the present day. Crude and strange opinions are floating in men’s minds on some points of doctrine, and among others on the point of “growth in grace,” as an essential part of true holiness. By some it is totally denied. By others it is explained away, and pared down to nothing. By thousands it is misunderstood, and consequently neglected. In a day like this it is useful to look fairly in the face the whole subject of Christian growth. II. The marks of religious growth. There are marks by which “growth in grace” may be known. I know not who you are, into whose hands this paper may have fallen. But I am not ashamed to ask your best attention to its contents. Believe me, the subject is no mere matter of speculation and controversy. It is an eminently practical subject, if any is in religion. 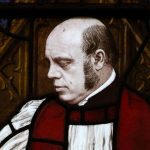 It is intimately and inseparably connected with the whole question of “sanctification.” It is a leading mark of true saints that they grow. The spiritual health and prosperity, the spiritual happiness and comfort of every true-hearted and holy Christian, are intimately connected with the subject of spiritual growth. But there is one subject on which it is specially important to “count the cost.” That subject is the salvation of our souls. What does it cost to be a true Christian? What does it cost to be a really holy man? This, after all, is the grand question. For want of thought about this, thousands, after seeming to begin well, turn away from the road to heaven, and are lost for ever in hell. Let me try to say a few words which may throw light on the subject. We are living in strange times. Events are hurrying on with singular rapidity. We never know “what a day may bring forth”; how much less do we know what may happen in a year!—We live in a day of great religious profession. Scores of professing Christians in every part of the land are expressing a desire for more holiness and a higher degree of spiritual life. Yet nothing is more common than to see people receiving the Word with joy, and then after two or three years falling away, and going back to their sins. They had not considered “what it costs” to be a really consistent believer and holy Christian. Surely these are times when we ought often to sit down and “count the cost,” and to consider the state of our souls. We must mind what we are about. If we desire to be truly holy, it is a good sign. We may thank God for putting the desire into our hearts. But still the cost ought to be counted. No doubt Christ’s way to eternal life is a way of pleasantness. But it is folly to shut our eyes to the fact that His way is narrow, and the cross comes before the crown. It is a curious fact that there is no subject about which most people feel such deep interest as “fighting.” Young men and maidens, old men and little children, high and low, rich and poor, learned and unlearned, all feel a deep interest in wars, battles and fighting. This is a simple fact, whatever way we may try to explain it. We should call that Englishman a dull fellow who cared nothing about the story of Waterloo, or Inkermann, or Balaclava or Lucknow. We should think that heart cold and stupid which was not moved and thrilled by the struggles at Sedan and Strasburg, and Metz, and Paris, during the war between France and Germany. But there is another warfare of far greater importance than any war that was ever waged by man. It is a warfare which concerns not two or three nations only, but every Christian man and woman born into the world. The warfare I speak of is the spiritual warfare. It is the fight which everyone who would be saved must fight about his soul. This warfare, I am aware, is a thing of which many know nothing. Talk to them about it, and they are ready to set you down as a madman, an enthusiast, or a fool. And yet it is as real and true as any war the world has ever seen. It has its hand-to-hand conflicts and its wounds. It has its watchings and fatigues. It has its sieges and assaults. It has its victories and its defeats. Above all, it has consequences which are awful, tremendous, and most peculiar. In earthly warfare the consequences to nations are often temporary and remediable. In the spiritual warfare it is very different. Of that warfare, the consequences, when the fight is over, are unchangeable and eternal. It is of this warfare that St. Paul spoke to Timothy, when he wrote those burning words, “Fight the good fight of faith; lay hold on eternal life.” It is of this warfare that I propose to speak in this paper. I hold the subject to be closely connected with that of sanctification and holiness. He that would understand the nature of true holiness must know that the Christian is “a man of war.” If we would be holy we must fight. The text which heads this page opens up a subject of deep importance. That subject is practical holiness. It suggests a question which demands the attention of all professing Christians—Are we holy? Shall we see the Lord? That question can never be out of season. The wise man tells us, “There is a time to weep, and a time to laugh—a time to keep silence, and a time to speak” (Eccles. iii. 4, 7); but there is no time, no, not a day, in which a man ought not to be holy. Are we? That question concerns all ranks and conditions of men. Some are rich and some are poor—some learned and some unlearned—some masters, and some servants; but there is no rank or condition in life in which a man ought not to be holy. Are we? I shall endeavour, by God’s help, to examine what true holiness is, and the reason why it is so needful. In conclusion, I shall try to point out the only way in which holiness can be attained. I have already, in the second paper in this volume, approached this subject from a doctrinal side. Let me now try to present it to my readers in a more plain and practical point of view. I. First, then, let me try to show what true practical holiness is—what sort of persons are those whom God calls holy. A man may go great lengths, and yet never reach true holiness. It is not knowledge—Balaam had that: nor great profession—Judas Iscariot had that: nor doing many things—Herod had that: nor zeal for certain matters in religion—Jehu had that: nor morality and outward respectability of conduct—the young ruler had that: nor taking pleasure in hearing preachers—the Jews in Ezekiel’s time 35had that: nor keeping company with godly people—Joab and Gehazi and Demas had that. Yet none of these was holy! These things alone are not holiness. A man may have any one of them, and yet never see the Lord. What does the Bible mean when it speaks of a “sanctified” man? Sanctification is that inward spiritual work which the Lord Jesus Christ works in a man by the Holy Ghost, when He calls him to be a true believer. He not only washes him from his sins in His own blood, but He also separates him from his natural love of sin and the world, puts a new principle in his heart, and makes him practically godly in life. The instrument by which the Spirit effects this work is generally the Word of God, though He sometimes uses afflictions and providential visitations “without the Word.” (1 Peter iii. 1.) The subject of this work of Christ by His Spirit is called in Scripture a “sanctified” man. The plain truth is that a right knowledge of sin lies at the root of all saving Christianity. Without it such doctrines as justification, conversion, sanctification, are “words and names” which convey no meaning to the mind. The first thing, therefore, that God does when He makes anyone a new creature in Christ, is to send light into his heart, and show him that he is a guilty sinner. The material creation in Genesis began with “light,” and so also does the spiritual creation. God “shines into our hearts” by the work of the Holy Ghost, and then spiritual life begins. (2 Cor. iv. 6. )—Dim or indistinct views of sin are the origin of most of the errors, heresies, and false doctrines of the present day. If a man does not realize the dangerous nature of his soul’s disease, you cannot wonder if he is content with false or imperfect remedies. I believe that one of the chief wants of the Church has been, and is, clearer, fuller teaching about sin. I have had a deep conviction for many years that practical holiness and entire self-consecration to God are not sufficiently attended to by modern Christians in this country. Politics, or controversy, or party-spirit, or worldliness, have eaten out the heart of lively piety in too many of us. The subject of personal godliness has fallen sadly into the background. The standard of living has become painfully low in many quarters. The immense importance of “adorning the doctrine of God our Saviour” (Titus ii. 10), and making it lovely and beautiful by our daily habits and tempers, has been far too much overlooked. Worldly people sometimes complain with reason that “religious” persons, so-called, are not so amiable and unselfish and good-natured as others who make no profession of religion. Yet sanctification, in its place and proportion, is quite as important as justification. Sound Protestant and Evangelical doctrine is useless if it is not accompanied by a holy life. It is worse than useless: it does positive harm. It is despised by keen-sighted and shrewd men of the world, as an unreal and hollow thing, and brings religion into contempt. It is my firm impression that we want a thorough revival about Scriptural holiness, and I am deeply thankful that attention is being directed to the point. (1) I ask, in the first place, whether it is wise to speak of faith as the one thing needful, and the only thing required, as many seem to do now-a-days in handling the doctrine of sanctification?—Is it wise to proclaim in so bald, naked, and unqualified a way as many do, that the holiness of converted people is by faith only, and not at all by personal exertion? Is it according to the proportion of God’s Word? I doubt it. As to the phrase “holiness by faith,” I find it nowhere in the New Testament. Without controversy, in the matter of our justification before God, faith in Christ is the one thing needful. All that simply believe are justified. Righteousness is imputed “to him that worketh not but believeth.” (Rom. iv. 5.) It is thoroughly Scriptural and right to say “faith alone justifies.” But it is not equally Scriptural and right so say “faith alone sanctifies.” The saying requires very large qualification. Let one fact suffice. We are frequently told that a man is “justified by faith without the deeds of the law,” by St. Paul. But not once are we told that we are “sanctified by faith without the deeds of the law.” On the contrary, we are expressly told by St. James that the faith whereby we are visibly and demonstratively justified before man, is a faith which “if it hath not works is dead, being alone.” (James ii. 17.) I may be told, in reply, that no one of course means to disparage “works” as an essential part of a holy life. It would be well, however, to make this more plain than many seem to make it in these days. Click here to read the Introduction online.